Interleague play wrapped up last week with the Giants taking the title. 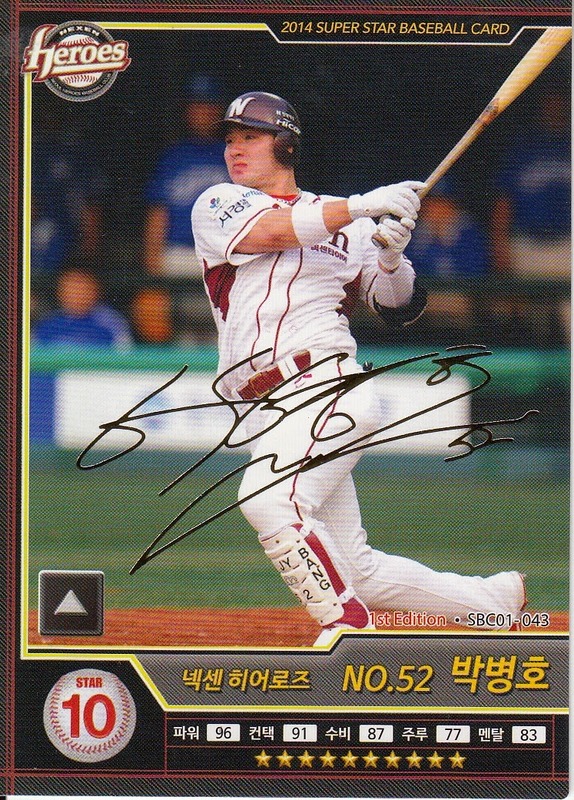 Yoshiyuki Kamei was named Interleague MVP. It seems a little odd to me that a position player who only played two thirds of his team's game would win it but there you are. 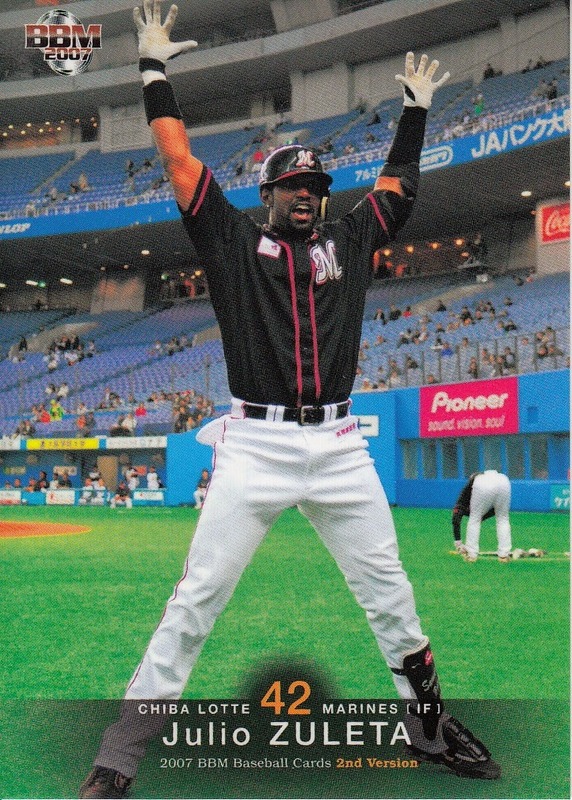 Most significantly he broke the hearts of Buffalo fans by homering for the winning (and only) run of the twelve inning game that included ten no hit innings by Chihiro Kaneko and Yoshihisa Hirano back on May 31. Today is the 55th Anniversary of what is probably the most famous game in Japanese baseball history. On June 25, 1959, the Emperor of Japan for the first time ever attended a professional baseball game. That evening, Emperor Hirohito and his wife Empress Nagako took in the contest between the Giants and Tigers at Korakuen Stadium in Tokyo, just a few miles north of the Imperial Palace. As you might imagine, this was a big deal. The teams lined up on the field prior to the game and bowed to the Emperor. Both teams were tense. 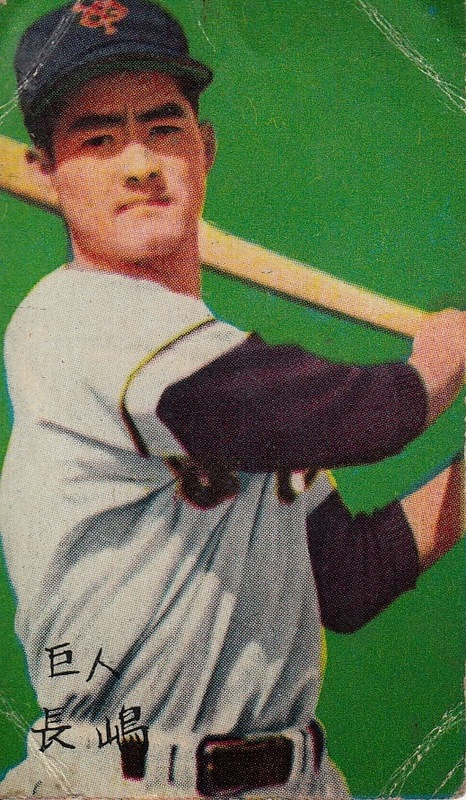 As Rob Fitts related in his biography of Wally Yonamine, who played in the game: "For many of the players, performing in front of the Emperor was more significant than playing in the Japan Series". The pitching matchup pitted the top two pitchers for each team - Masaaki Koyama for the Tigers against Motoshi Fujita for the Giants. The Tigers dew first blood, taking a 1-0 lead in the top of the third on an RBI hit by Koyama. 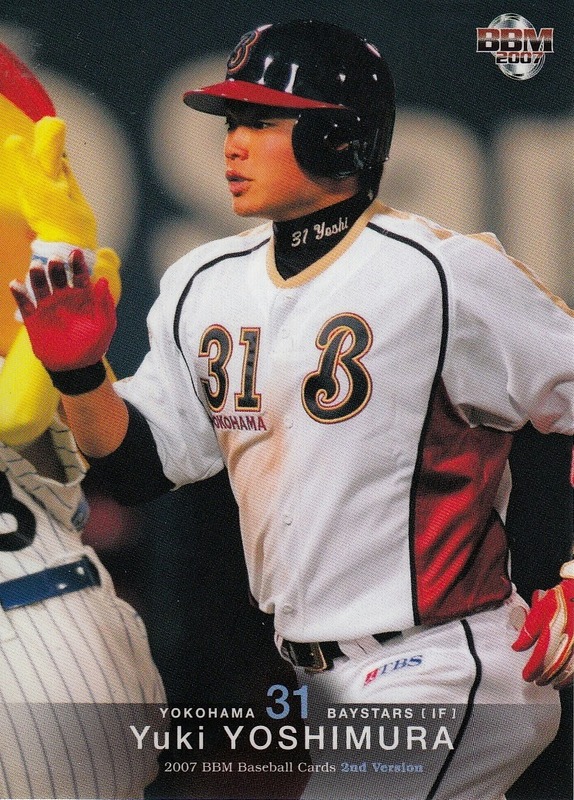 The Giants took the lead in the bottom of the fifth on back to back home runs by Shigeo Nagashima (in only his second year with the Giants) and Kazuhiko Sakazaki. 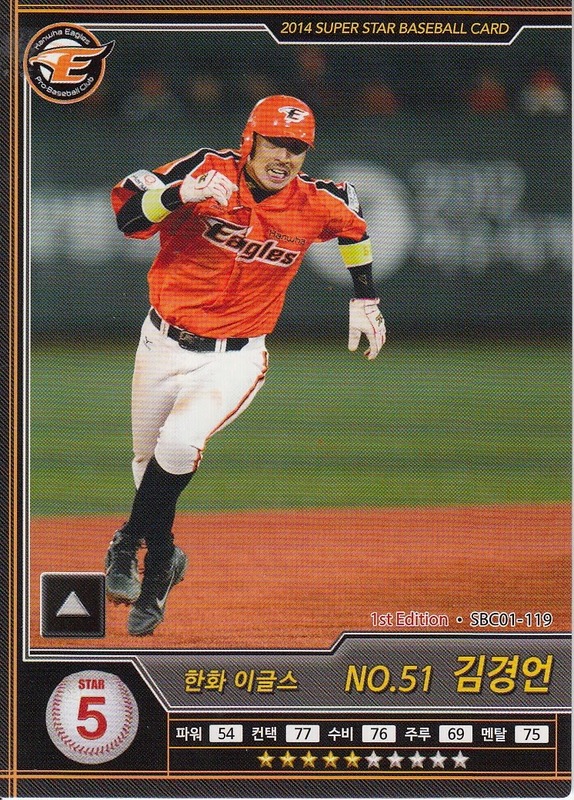 The Tigers, however, bounced back in the top of the sixth, scoring three runs including a home run by Katsumi Fujimoto (I'm not sure if Fujimoto's home run was a three run home run or not). The Tigers now led 4-2. The Giants were not done though as they tied the game in the bottom of the seventh on a two run home run by rookie first baseman Sadaharu Oh. 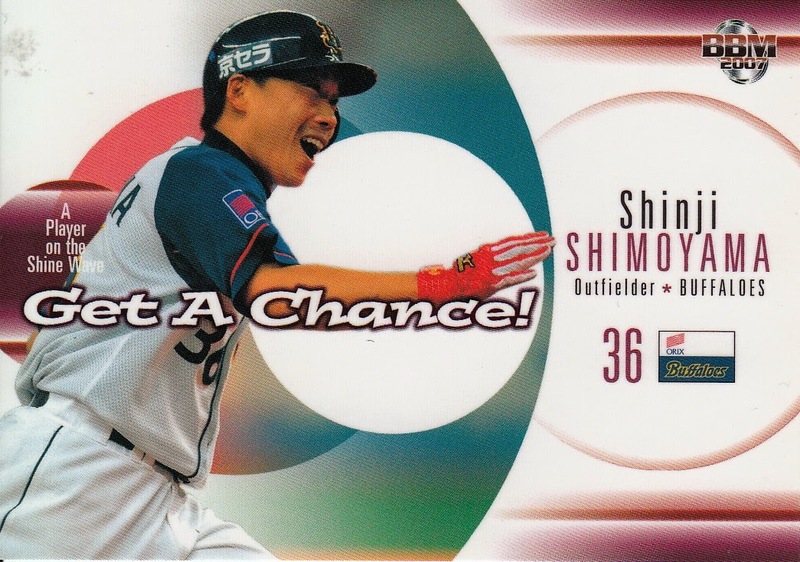 This game was the first game that Nagashima and Oh would both homer in - there would be another 105 games over the next 15 years that they would both homer in. The game was now tied 4 to 4. 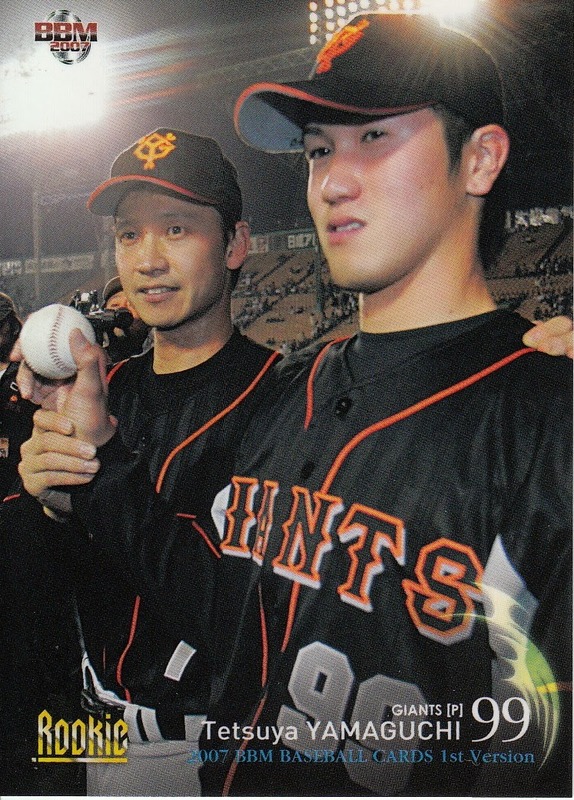 Murayama was flawless as he set the Giants down in the 8th; and in the 9th the Tigers failed to score. With Murayama at the peak of his form, it was beginning to look like extra innings. If so, the Imperial Couple, whose scheduled time of departure was 9:30, would miss the end of the game. No one wanted that to happen. The Emperor stayed to see Nagashima bat one last time. He only had to watch five more pitches. With the count at 2-2, Nagashima took a deep breath as Murayama went into his windup and threw the most famous pitch of his career--an inside fastball that Nagashima saw coming all the way. The Emperor leaned forward in his seat and watched the ball sail ten rows into the leftfield stands. 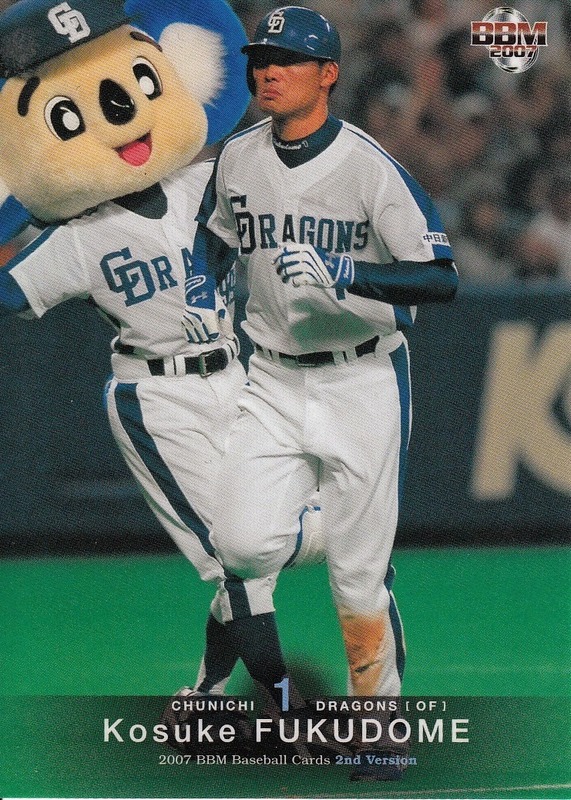 Rounding second base, Nagashima glanced up at the royal box and then trotted on to home plate to be mobbed by his teammates. Everyone wanted to touch him, as if some of his incredible magic might rub off on them. The Emperor and Empress stood in their box and smiled. Then, bowing ever so slightly towards the players milling around home plate, they prepared to leave the stadium. The scoreboard clock read 9:40. The greatest game ever played in Japan was history. And Shigeo Nagashima had won it for his team. A quick note here - the times Whiting mentions are not accurate. According to the Japanese Wikipedia page about the game, the bottom of the ninth started a little after nine and the Imperial Couple needed to leave at 9:15. Nagashima hit the home run at 9:12. It had to be Nagashima to hit that home run. When he hit that ball to left field, he didn't know if it was going to be fair or foul, so he just stood at home plate and watched. Then, when he figured that the ball would be fair, he started running. Nagashima was the best clutch hitter in Japan. In an important game like that, he would always come through for us. 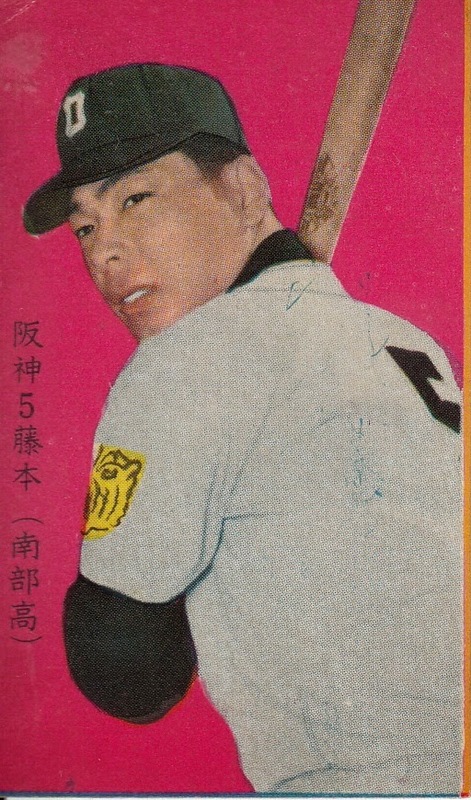 Murayama would go on to win the Sawamura award that year and ultimately won 222 games in his career. He was elected to the Hall Of Fame in 1993. But he would go to his grave (at an untimely age of 61 in 1998) insisting that the ball was foul. 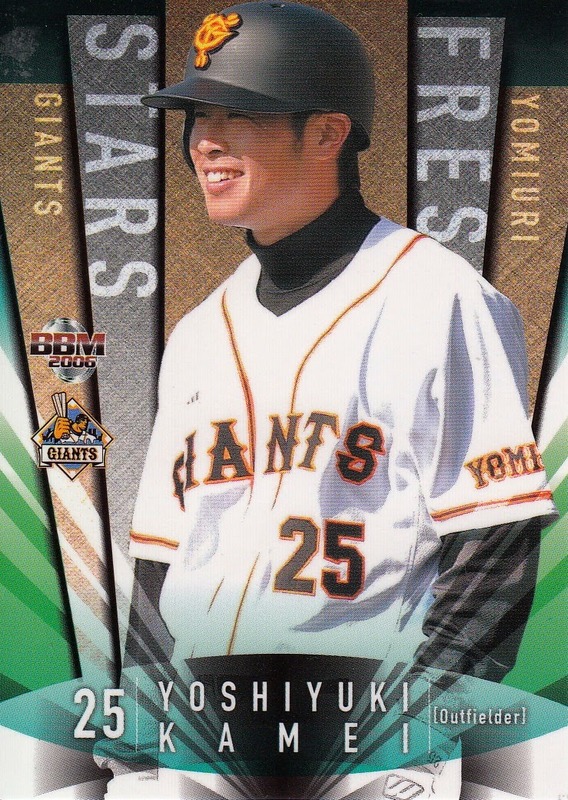 BBM did a pack based set devoted to Nagashima in 1999 (Mr. Giants) and a boxed set for him upon his second and final retirement as Giants manager in 2001. I have many cards from the 1999 set but none for this game and I don't have the boxed set. 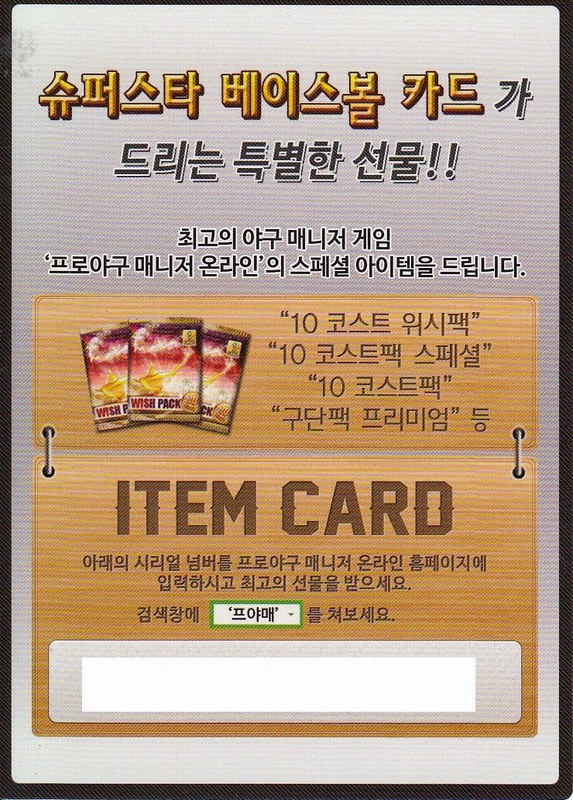 I assume that each set has a card for the game but I don't know that for sure. 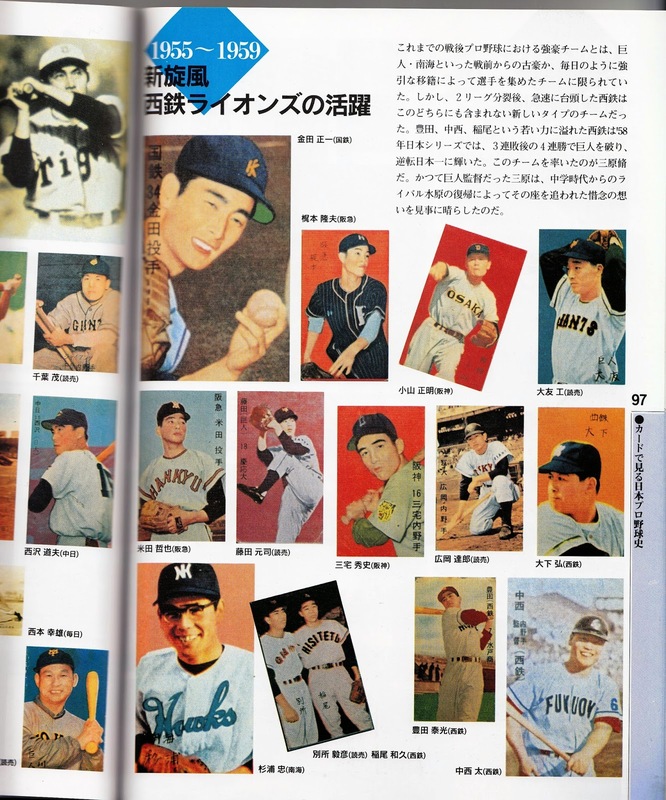 I used the following references in making this post - Wally Yonamine: The Man Who Changed Japanese Baseball by Rob Fitts, Sadaharu Oh - A Zen Way Of Baseball by Sadaharu Oh and David Faulkner and The Chrysanthemum And The Bat by Robert Whiting as well as the afore-mentioned Japanese Wikipedia entry for the game. And just another note - Whiting says the game took place in May of 1959. Oh says it was June 26, 1959. It was, in fact, June 25, 1959. 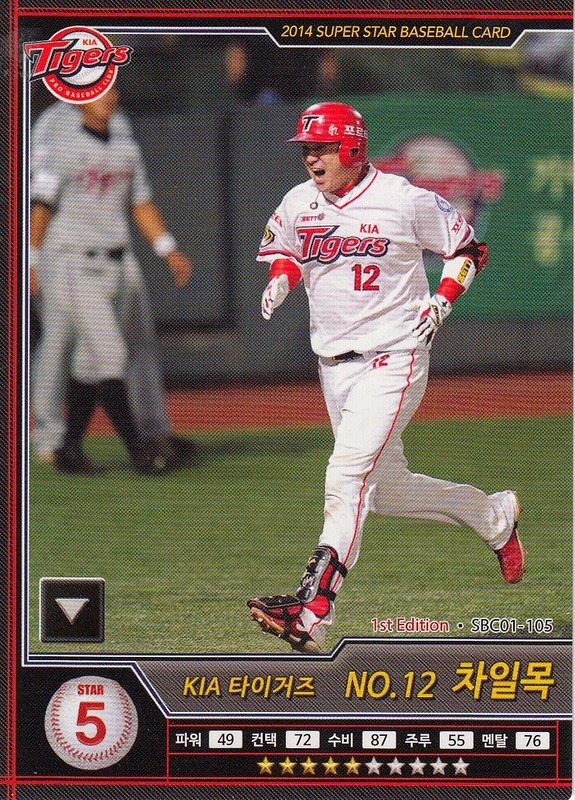 I received the two boxes of the new KBO set (Super Star Baseball Card) that I ordered from Ebay in the mail today. It took about two and a half weeks from when I ordered the cards for them to be delivered. So to recap the stats for the set - each box contains 20 six card packs, so there's 120 cards in each box. The set itself has 126 cards, but 54 of those cards are short prints so there's only 72 "regular" cards. 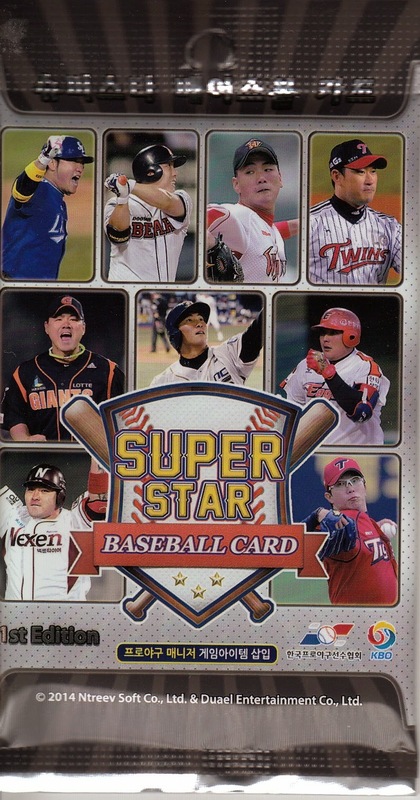 Of the 54 "short prints", there are nine "Superstar" cards with gold signatures, 18 "Big Star" cards with hologram text for the player's name, number and team name and 27 "All Star" cards with "holographic" fronts. All the cards have identical backs except the "All Star" cards. Everything but the "All Star" cards look like they can be used in some sort of collectible card game. There are currently nine teams in the KBO and the cards are split evenly among them. 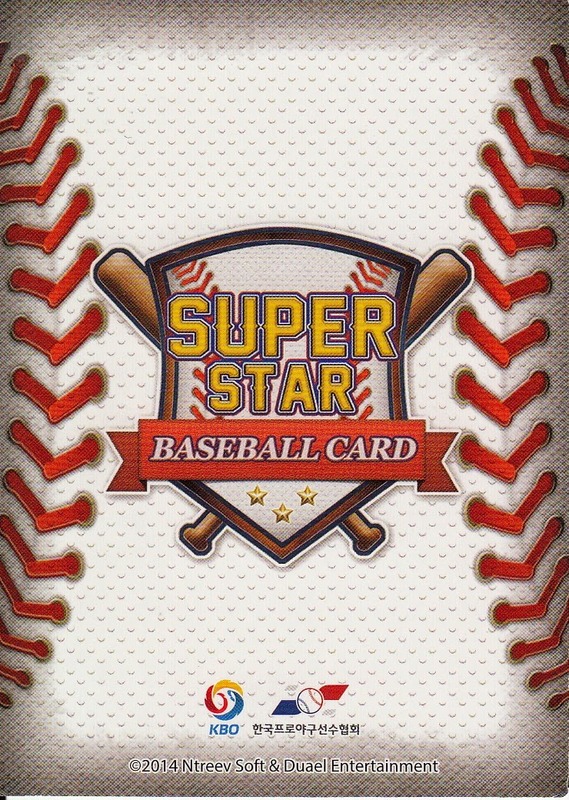 So each team has 14 total cards - 8 "regular", 1 "Superstar", 2 "Big Star" and 3 "All Star". So I ended up just short of the complete "regular" card set and got a little less than 40% of the short prints. With 90 cards in all, I have about 71% of the total set. 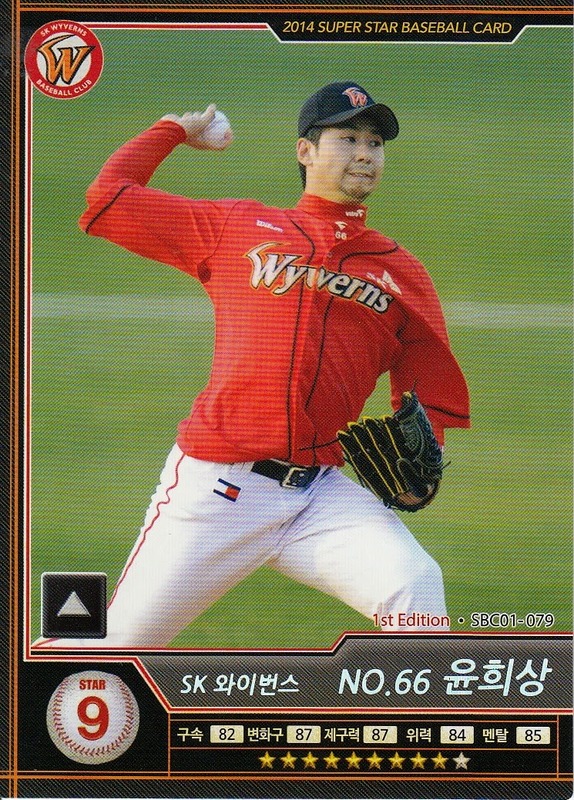 It's a little hard to tell from the scans but Park's signature is gold and Yoon's name, number and team name are in a holographic foil. I want to stress that these are not parallel versions of "regular" cards - these are the only versions of cards #043 and #079. Here's an example "All Star" card. As you can see, it doesn't have any of the game-related text on the front. The backs of these cards are the only ones that show the player's name in English. Curiously, the names are given with the surname last. I think the consensus is that this is the first series of cards for the year and there will be an additional series (or more) later this season. I think I will limit myself to only one box of an additional sets, especially if the ratio of short prints to normal cards continues to be so large. 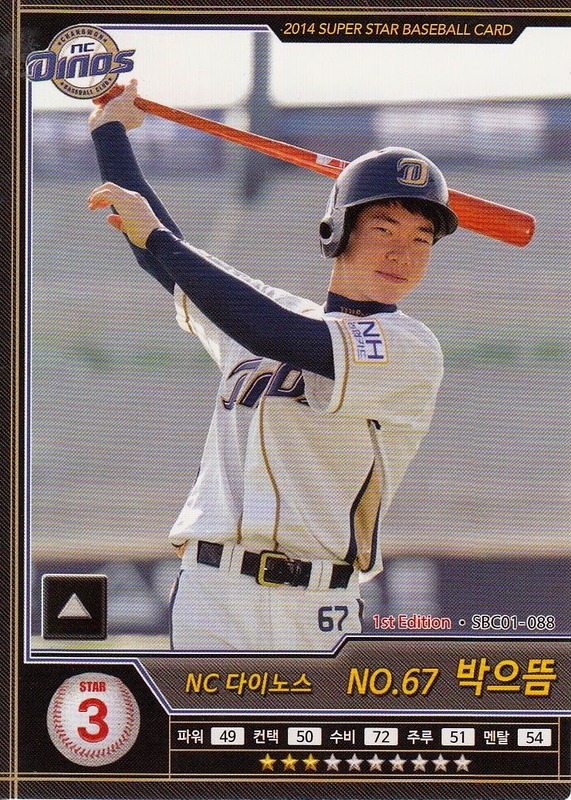 I've got to give a quick thank you to Jason for doing the ridiculously hard work of transcribing all the Korean names from the checklist on the company website into English and entering them into the Inventory Manager over at Sports Card Forum. 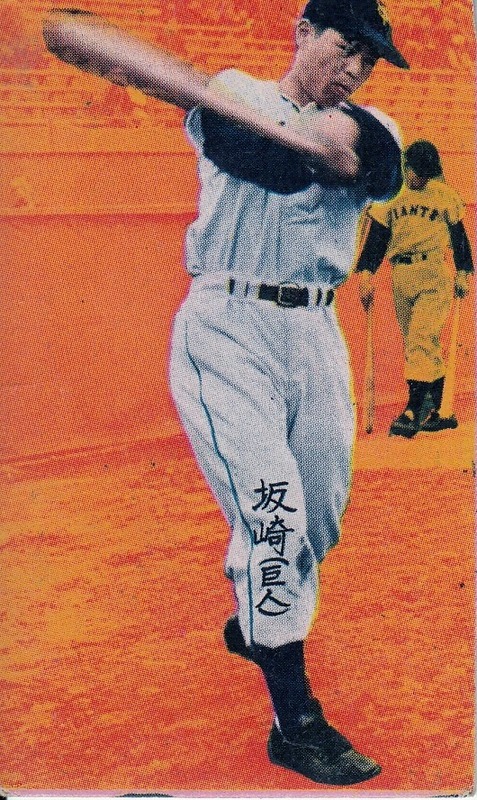 This is a 1947 JDM 11 menko card of Giichiro Shiraki of the Flyers. I've been wondering ever since I first saw this card what the deal with the duck or goose was. I think I finally have an answer now. 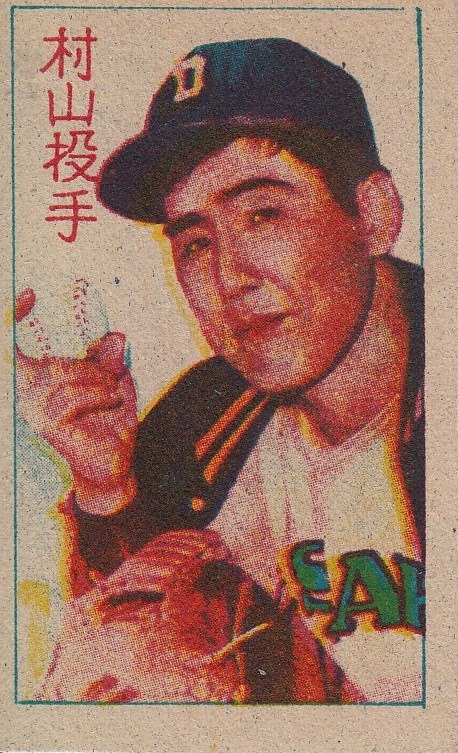 Rob Fitts is currently selling a card of Kaoru Betto on Ebay from 1948 that shows him holding a large fish. In the auction description, Rob says that "high quality food was hard to get in post-war Japan so prizes given to players during the all-star game often included food." Now technically there weren't any all star games like what happens now as prior to 1950 there was only the one league (and the current All Star games didn't start until 1951) but there were other "all star" exhibitions in the late 40's. So I don't think it's unreasonable to guess that this is a representation of Shiraki getting a prize at one of these games. Or someone getting a prize at one of these games. 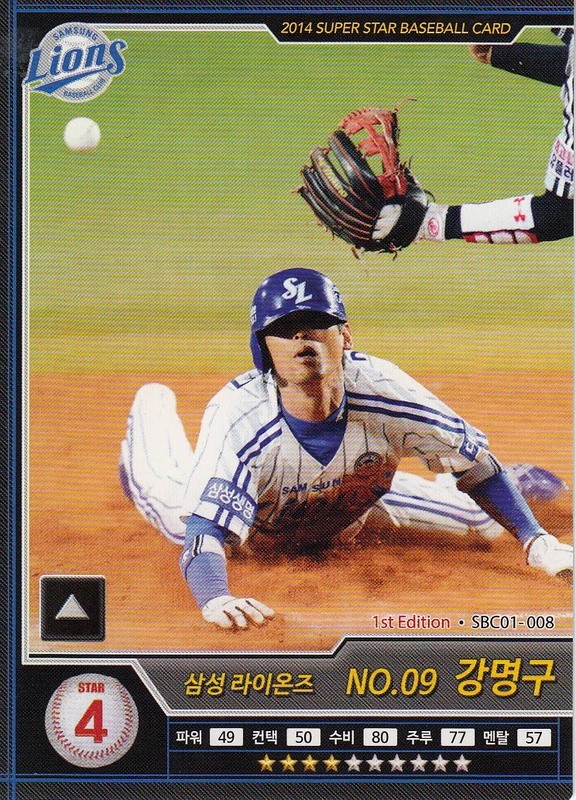 I'm not entirely convinced that the player pictured on the front of the JDM 11 cards is the same as the player described on the back of the cards. 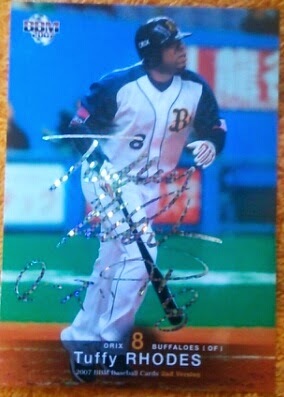 The only other JDM 11 card that I have is for (according to its back) Masataka Tsuchiya of Hosei University. The front, however, depicts a player from Meiji. I asked Gary Engel about it and he said that that's the way his card is as well. So maybe it's the same for this card. 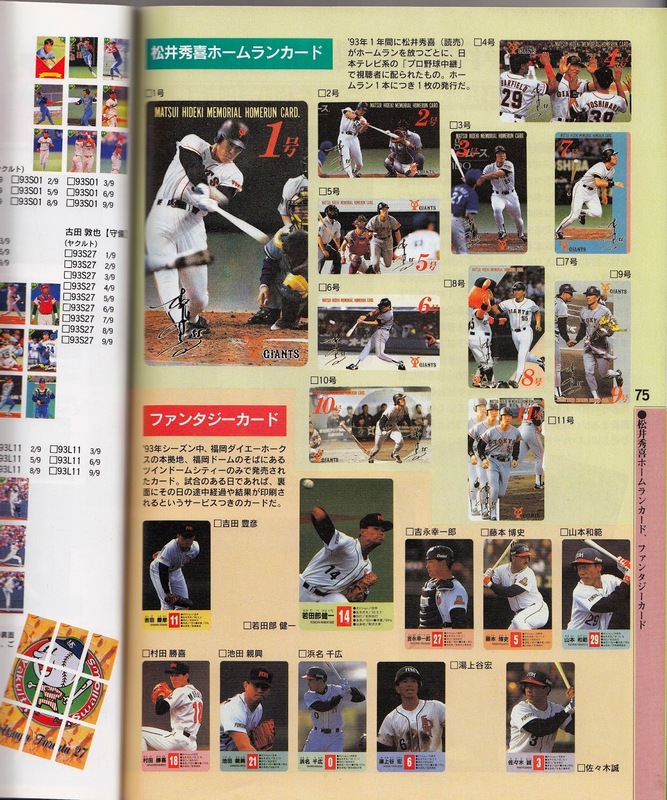 One of the odd things about the Japanese baseball card market is that there isn't a Japanese version of Standard Catalog of Baseball Cards. 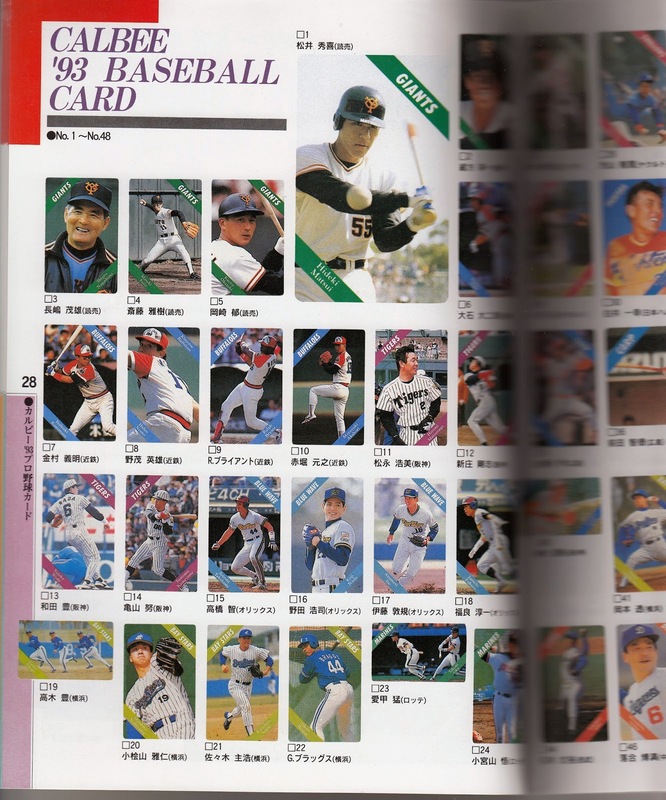 While Sports Card Magazine has been running checklists of BBM issues going back to 1991 and Calbee going back to 1973, there's no Japanese catalog of older sets. 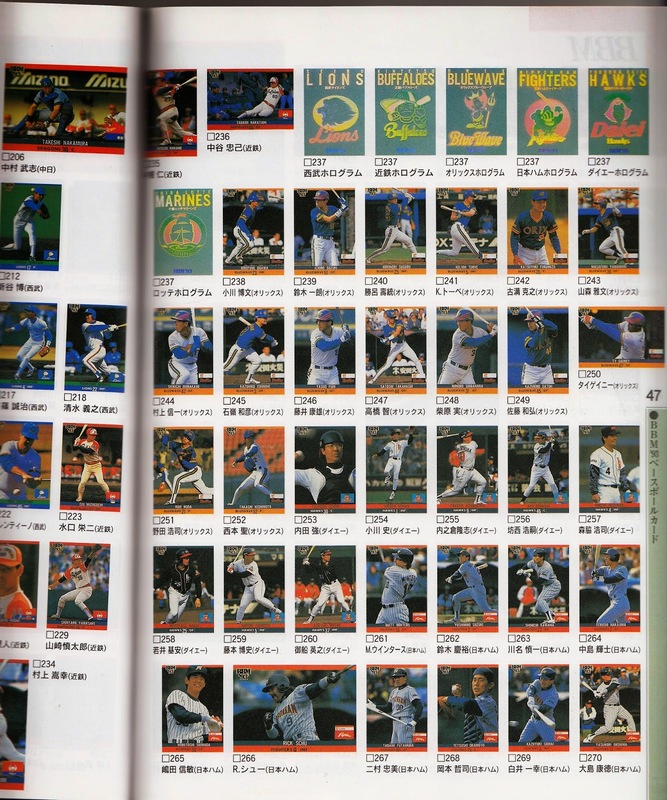 The only comprehensive catalog of Japanese cards is the one that Gary Engel has compiled. (It's kind of funny - Ryan and I were using the Vintage edition of Engel's guide to identify cards at Bibilo last year. The people working at the store were very interested in the guide as they apparently had never seen it before - and if you've been to Bibilo you'd be surprised to discover there was any baseball publication that they had never seen...) Ryan had a post devoted to this subject last year. That's not to say that no one in Japan ever made an attempt. 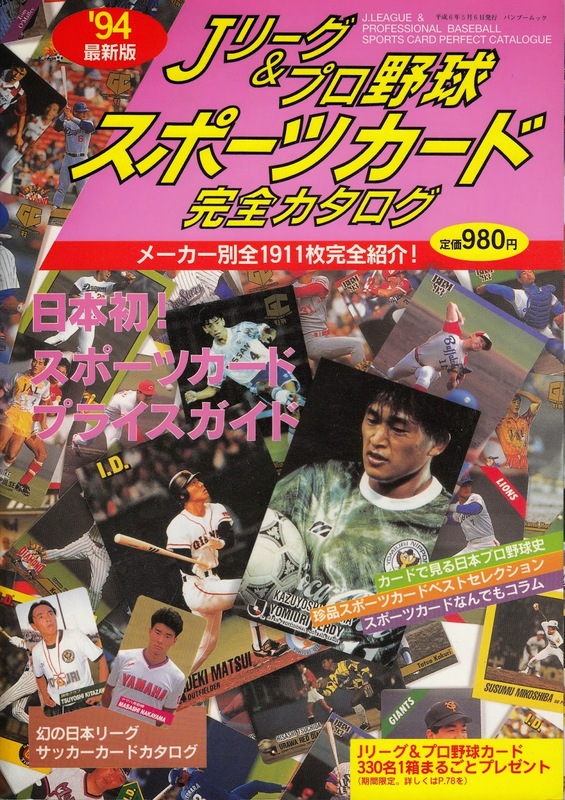 Ralph Pearce had mentioned to me two Japanese publications that he had - one was called “Sports Cards Price Guide” that was published in 1996 and covered BBM, Calbee and Tomy I.D. cards from 1991 through 1995. The other was called "J. 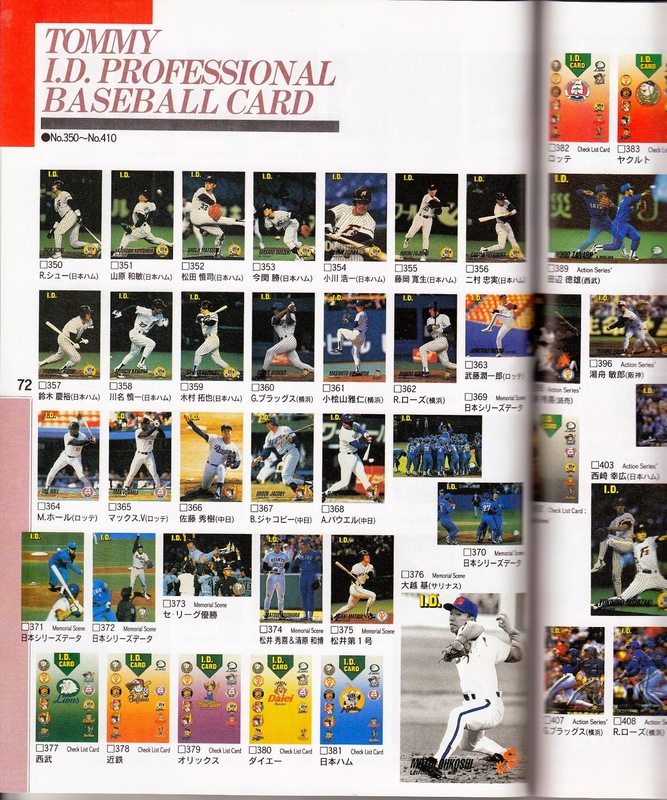 League & Professional Baseball Sports Card Perfect Catalogue" and was published in 1994. I recently picked up a copy of the latter guide. 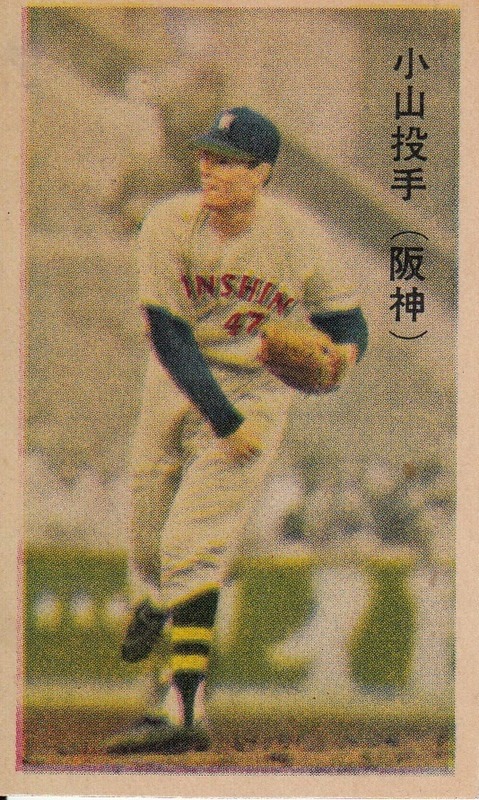 I want to make a quick aside here about where I got the copy - Paul Margiott is one of what I call the "pioneers" of the American Japanese baseball card hobby. Among other things, he co-wrote the first two editions of the Guide we all now refer to as simply "Engel". I had bought a lot of the 1991 BBM set from him on Ebay back when I started collecting Japanese cards. He contacted me recently about a bunch of documents and publications that he was interested in selling. I bought a handful of items from him including this. I think he's planning on putting the remainder on Ebay but I don't know that for sure. I assume that the handwriting on the pages is Paul's. 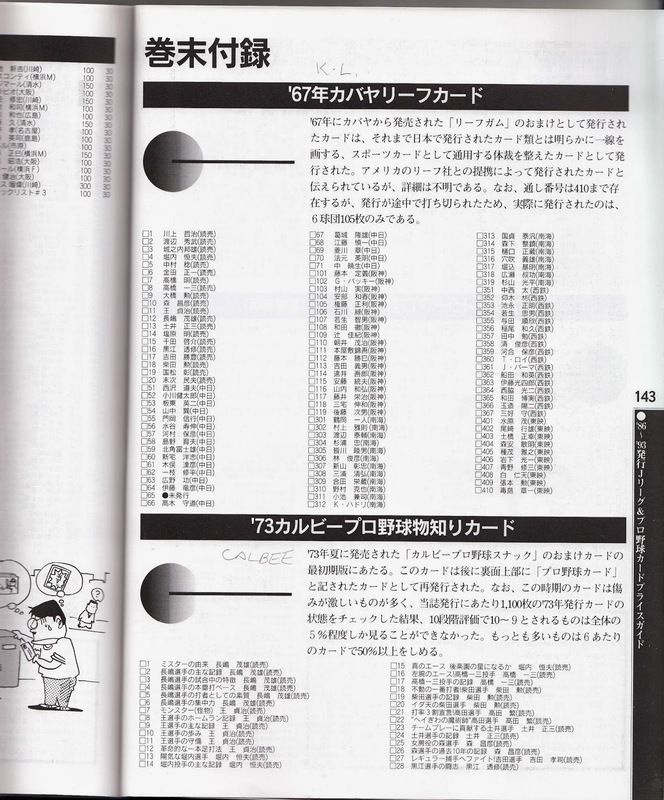 I'm guessing that this mook was one of many resources that was used to create the earliest versions of the Guide. I do not know who put this publication out and I don't know why they never issued another one. I also don't know why certain card sets were ignored altogether - Takara, NST and Yamakatsu are all absent from the mook. But it's still a pretty cool publication. - As a follow up to last year's All Star Memories 80's set, BBM is releasing an All Star Memories 90's set. As you've probably guessed, this is a pack based set featuring players in All Star games during the 1990's. It's got 90 cards in the base set - 81 "regular" player cards and 9 combination cards ("2 Stars Meet"), a nine card insert set called "Mr All Star Game" and various autograph cards. 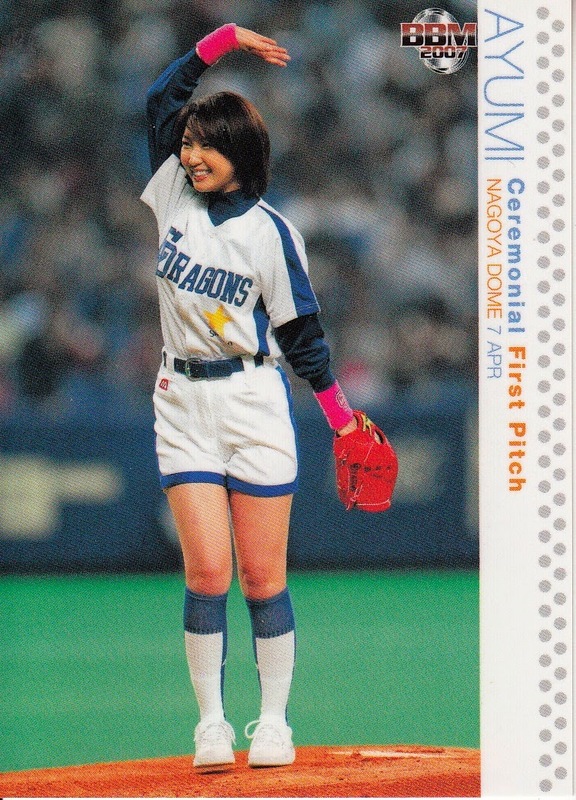 There's a handful of events from All Star games in the 90's that I can think of that would be fun to see show up in these cards - an extra inning game and an injury causing the Pacific League to have to play Kimiyasu Kudoh in the outfield and have Hideo Nomo bat in one of the 1990 games; Atsuya Furuta hitting for the cycle in 1992 and (of course) Ichiro pitching to Shingo Takatsu in 1996. 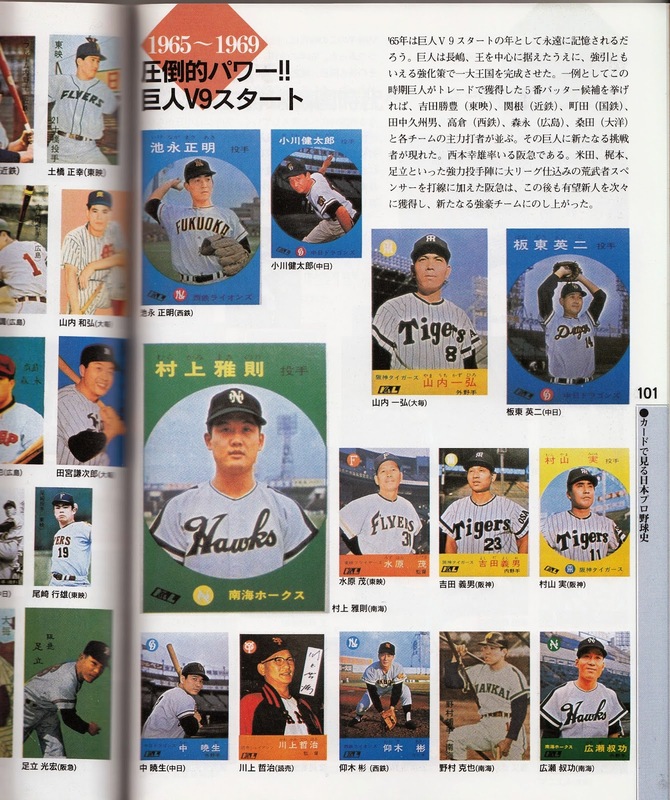 Looking at the sample cards, I think Furuta's covered but Kudoh is shown pitching for the Hawks - he was with the Lions in 1990. I fear there's probably less than a 50% chance that Ichiro is in the set and probably a 0% chance Nomo is. Too bad. I'm still looking forward to the set which will be released in late July. - The Giants team set will be out in mid July. Like the other team sets BBM does, this is a pack based set. At 108 cards, the base set is a little bigger than most of the other teams' sets. There are 80 cards for the managers and the players, a single mascot/checklist card, five combinations cards, four future star cards and 18 "Giants Pride cards". 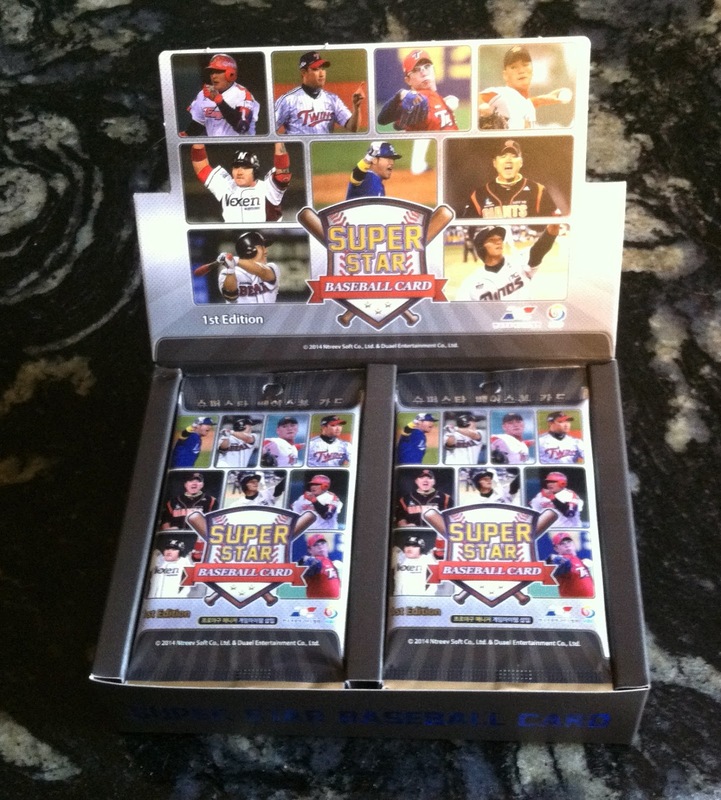 There's also a nine card insert set (not sure of the theme) and a bunch of possible autograph and bat cards. There's also some possible metallic cards. I'm not a huge fan of either the Giants or the team sets, but this actually is kind of an attractive looking set. - Continuing the theme of having a box set containing both OB and active players that BBM has already done this year for the Carp and Lions, BBM has announced a Hawks box set called "Futures And Legends". There are 37 cards in the set - 36 base cards and one special card. There's no information on how the base cards are split between the "Futures" and the "Legends". It looks like the special card could be a facsimile autographed card, a real autographed card or a jersey card (it's says Nankai but I suspect it's a jersey from one of the games the Hawks wore throwback uniforms rather than an original Nankai jersey from the 1980's or earlier). The set will be out in late June. - BBM is also doing a box set for the Fighters called "We Love Hokkaido". It will have 27 cards in its base set and one special card. There's absolutely no information on what's in the base set but the special cards will be facsimile autographed cards, real autographed cards and die cut cards. There apparently is an autographed card of ski jumper Noriaki Kasai available but I don't know if there will be card of him in the base set. The set will be released in mid-July. - The second of BBM's sets dedicated to the cheerleaders and dance teams for various teams - Dancing Heroine Mai - will be released on July 28. 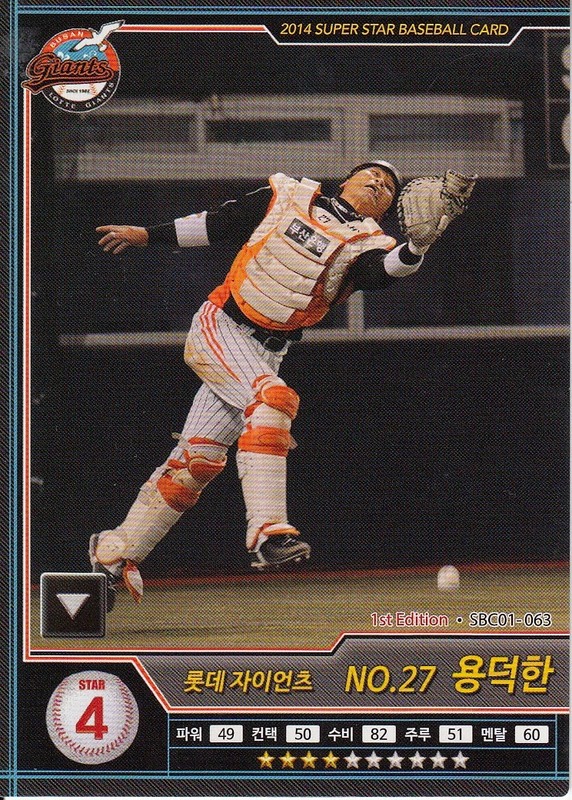 Like the earlier Hana version, this is a pack based set containing 96 cards in its base set (split unevenly between 10 different teams - the Tigers and Carp are not included in the set). 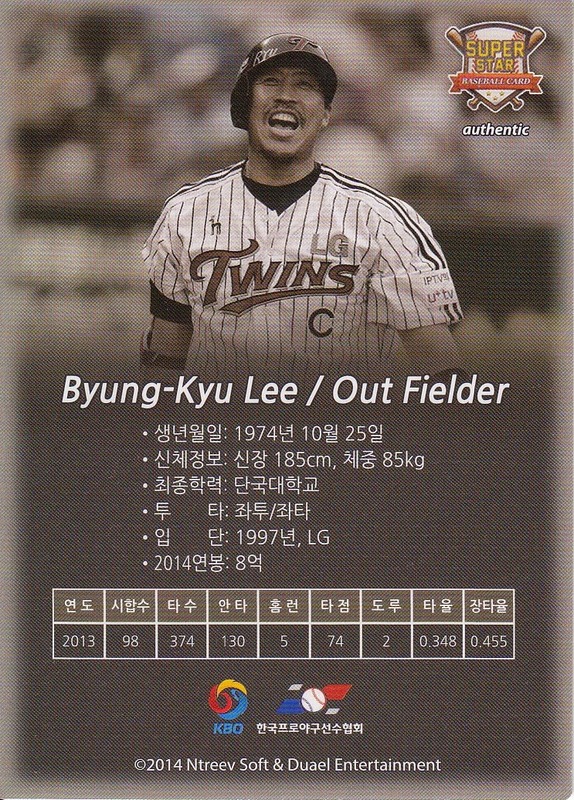 There is a "hologram" parallel of the base cards, some form of insert that is not described and also autographed cards available. I don't know for sure but I think that the checklist for both the Hana and Mai sets are identical but the cards themselves are different. In addition to the BBM sets, there are a couple new Front Runner Trading Card sets that showed up at Discount Niki's website. As usual, these are team specific box sets - this time for the Lions and the Buffaloes. These particular ones are a new type for Front Runner called "Signature Edition". From what I gather, there are 22 cards in each box set, 20 base cards and two autographed cards. As you might guess with two autograph cards, these sets are expensive - Niki is listing each set at 11,300 yen apiece, which is basically $113. The sets will be out at the end of July. I think one of the most difficult things is to follow the footsteps of a famous father into their same field, especially when their father is an icon. In the US, we had the example of Pete Rose's son Pete Rose II, who toiled in the minors for over 20 years but only briefly made the majors (and that was mostly a publicity stunt by the Reds). In Japan, the biggest example is Kazushige Nagashima, the son of Shigeo Nagashima. 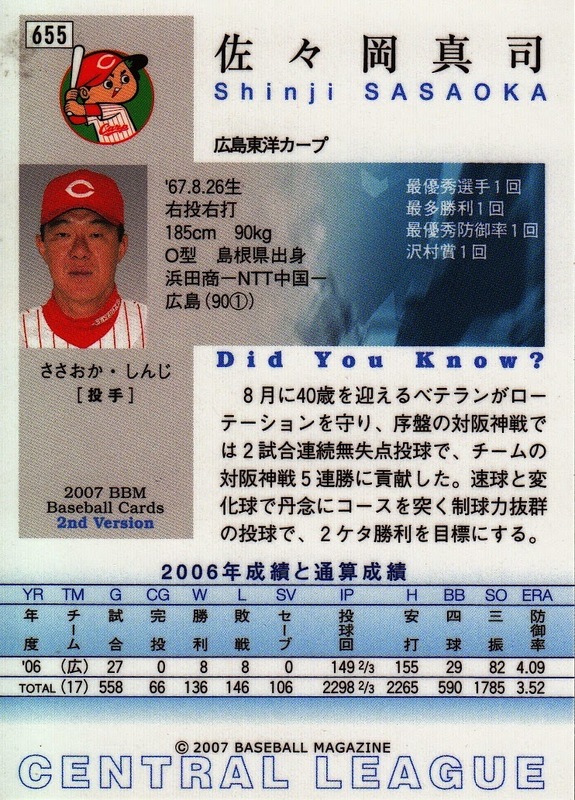 Kazushige was born in 1966, during the height of his father's popularity (and near the beginning of the V9 Giants run). 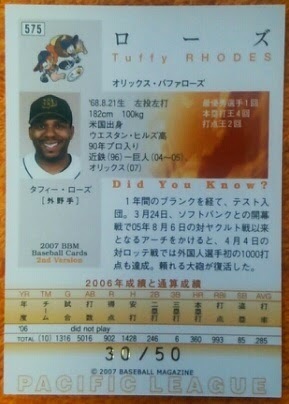 Like his father, he attended Rikkio University of the Tokyo Big Six league, becoming team captain despite only hitting .225 during his career there. 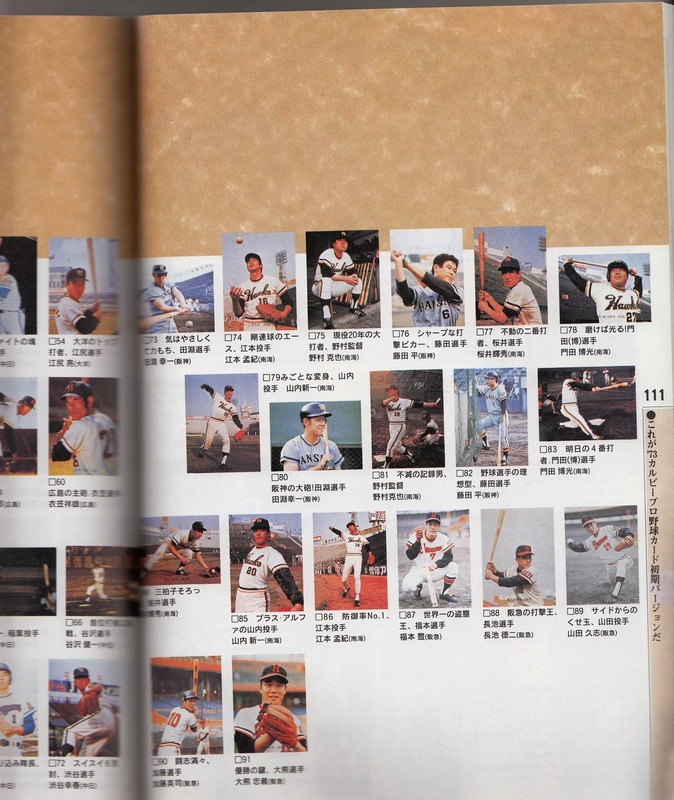 He was drafted in the first round of the 1988 draft (as always I feel compelled to mention that this was held in the fall of 1987) by both the Swallows and the Taiyo Whales and was awarded to Yakult in the lottery. 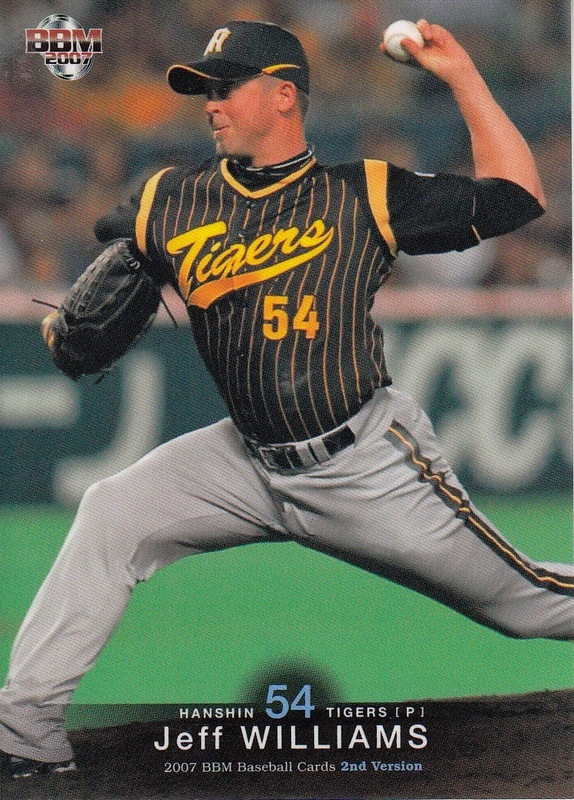 Other players chosen in that round of that draft were Kazuyoshi Tatsunami, Hideki Irabu and Ken Suzuki - all players who went on to much more successful careers in NPB than Kazushige did. 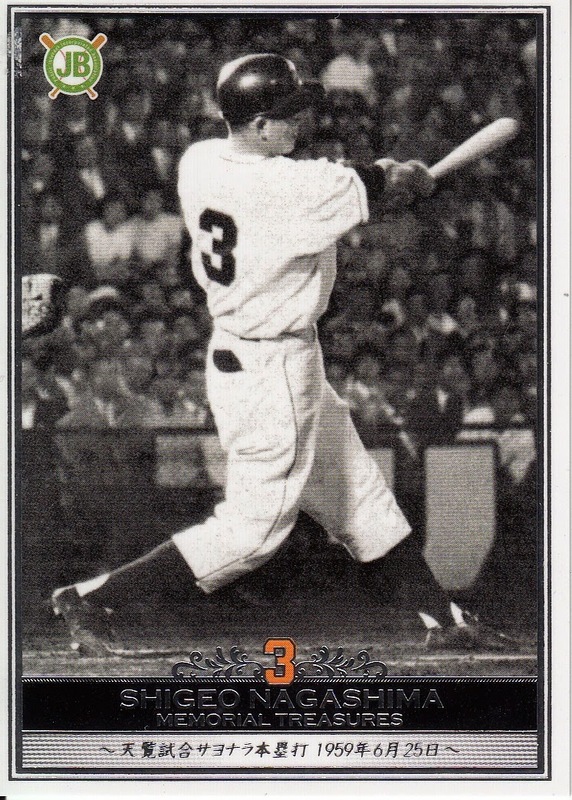 The Swallows assigned Kazushige the uniform number 3, the same one that his father had had. 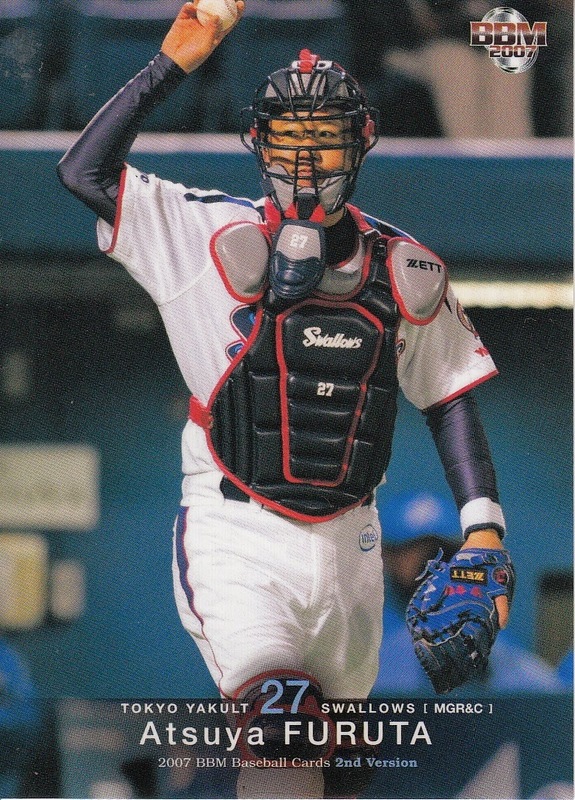 Kazushige spent four years playing for the Swallows. In his best season, 1989, he hit .250 with 4 home runs and 15 RBIs in 69 games. He never played in more than 88 games at the ichi-gun level, doing that in his first season in 1988. In 1992, it was time for a change. Shigeo Nagashima and Yakult contacted the Dodgers and asked if they could arrange for Kazushige to spend the season with the Dodgers Class A team in Vero Beach in the Florida State League. 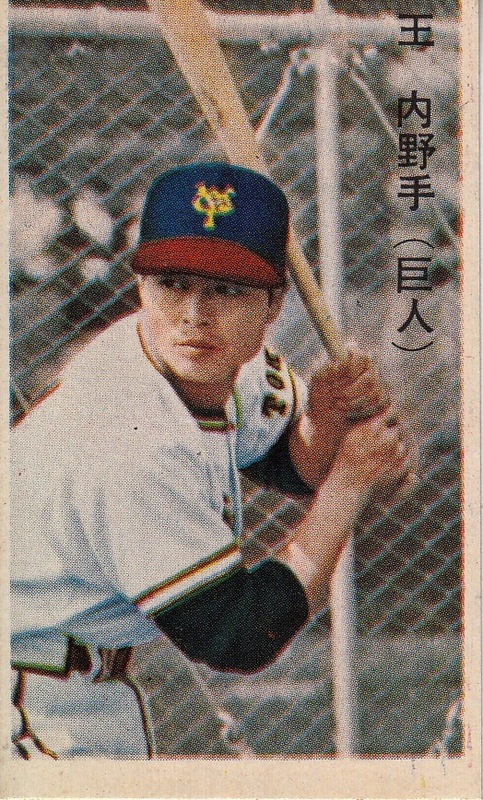 Vero Beach had previously hosted some Japanese players in the late 1980's (most significantly Masahiro Yamamoto of the Dragons). 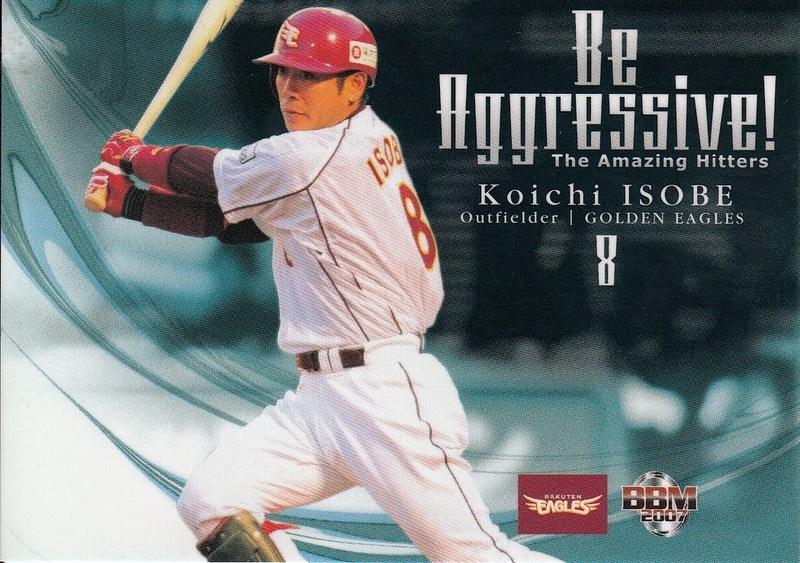 The Dodgers agreed and Kazushige played 79 games with the Dodgers, hitting .235 with 7 home runs and 26 RBI. 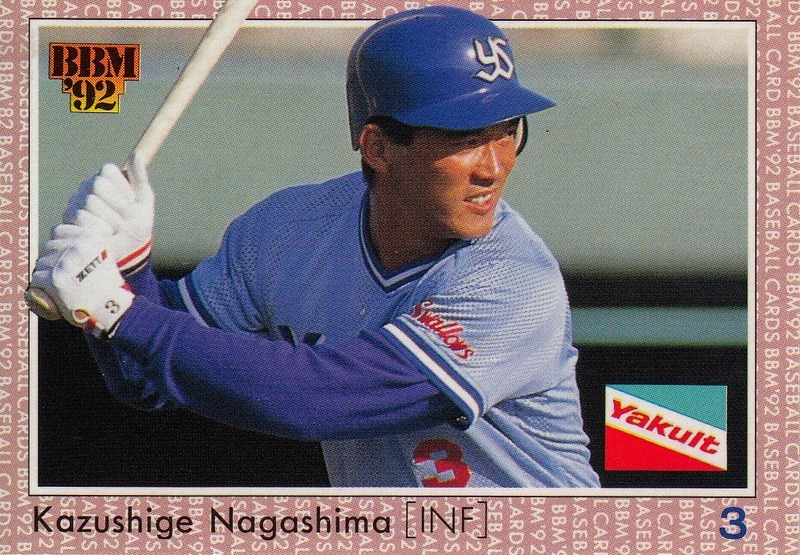 In 1993, the Giants brought Shigeo Nagashima back as manager for the first time since 1980. Yakult sold Kazushige to the Giants so that the father could manage the son. 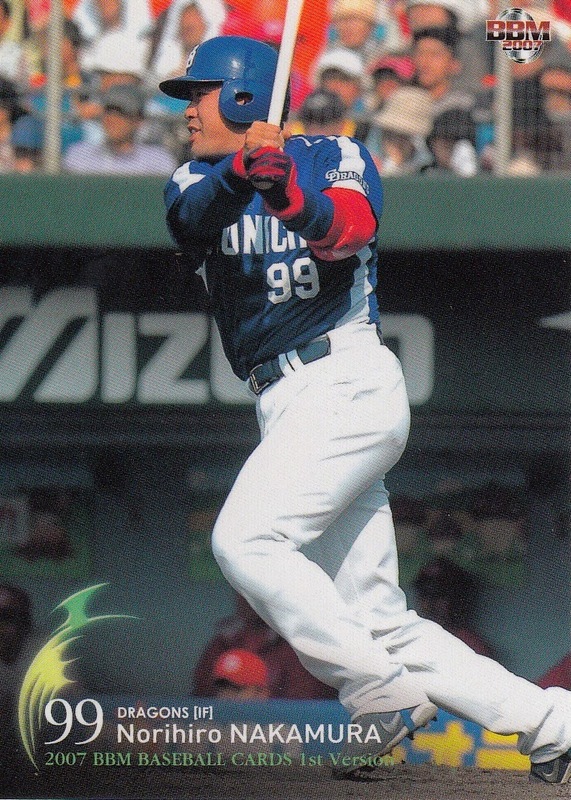 Kazushige had less success with the Giants than he had with the Swallows, batting .216 in 1993 and .172 in 1994. He missed the 1995 season with an injury and hit only .143 in 1996. He then retired. He has had a number of jobs since then, including actor, and baseball commentator and I think he now has some job in the Giants front office. My impression has always been that Pete Rose II never had any plans for his life other than being a baseball player. You read old books and articles from the 1970's and 1980's about his father and there's frequently a mention of how Pete II is just like his dad. Pete II is now a minor league manager so perhaps it is finally coming together for him but it's been a long road with some ugly stops to get here (including a jail term for PED distribution). I'd be curious if it was the same case with Kazushige. I think he had the advantage of deciding that the baseball thing was not working out at age 30 rather than continuing to keep trying. He also was much better paid than Rose was, so he had more options. He also still had the advantage of who his father was, which I think charitably has not been much help for Rose beyond the name. Memorabilia Cards: 12 different memorabilia cards - jersey cards for Yohei Kaneko, Kenji Otonari, Yuta Ohmine, Keiji Ohbiki, Masahiro Tanaka, Takuya Asao, Tatsuya Kojima, Takahiro Aoki and Kentaro Takasaki; undershirt cards for Takayuki Kishi, and Tatsuyoshi Masubuchi; and wristband cards for Norihito Kaneto. Parallels: 72 cards (6 per team) have three different parallels - gold signature (numbered to 100), hologram signature (numbered to 50) and "metallic" (only in Light packs). The two non-Light pack insert sets each has a serially numbered to 100 parallel - "black text" for First Impact and "red foil text" for Fantastic Heroes 12. All the memorabilia cards have a foil parallel. All the memorabilia cards except the Kishi undershirt and the Kaneki wristband have a patch parallel. 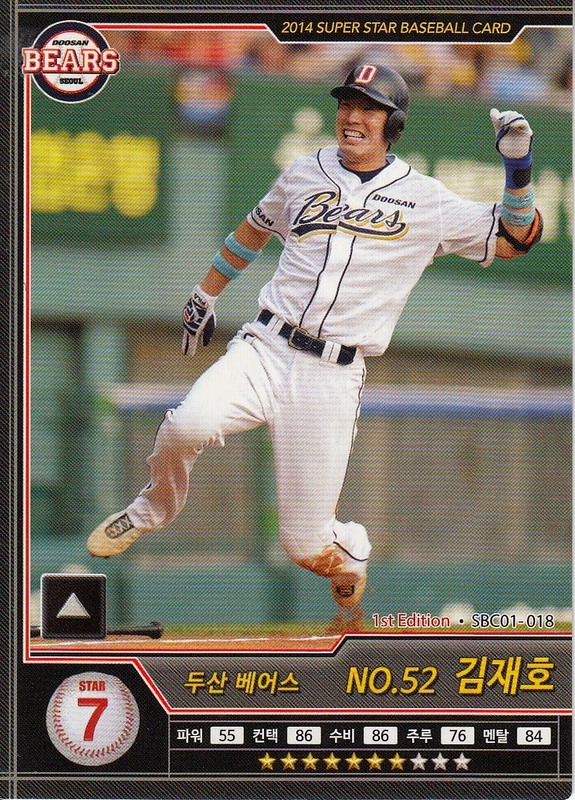 While the number of "regular" player cards remained the same between the 2006 2nd Version set and this one, the total number of cards in the set dropped by over sixty cards with this set. The difference is made up by there being fewer subsets (5) in this set compared to the 2006 set (6) and the subsets being smaller in general. The "Interleague Topics" subset that was part of both the 2005 and 2006 versions of the set was eliminated from this set (and all succeeding ones to date). Despite the fact that there are 12 cards in the 1st Version Update subset, they are not evenly divided between teams. There is one Dragon (Norihiro Nakamura), one Tiger (Itsuki Shoda), one Fighter (Takehito Kanazawa), one Eagle (Fumikazu Takanami), one Swallow (Hidenori Itoh), two Carp (Go Kida & Tsubasa Nakatani), two Buffaloes (Kosuke Katoh & Tuffy Rhodes) and three Giants (Geremi Gonzalez, Tetsuya Matsumoto & Tetsuya Yamaguchi). None of the players in the Update appeared in the 1st Version set. The Itoh, Matsumoto, Nakatani and Yamaguchi cards are rookie cards. Rhodes and Nakamura appear in both the Update subset and the regular player cards. 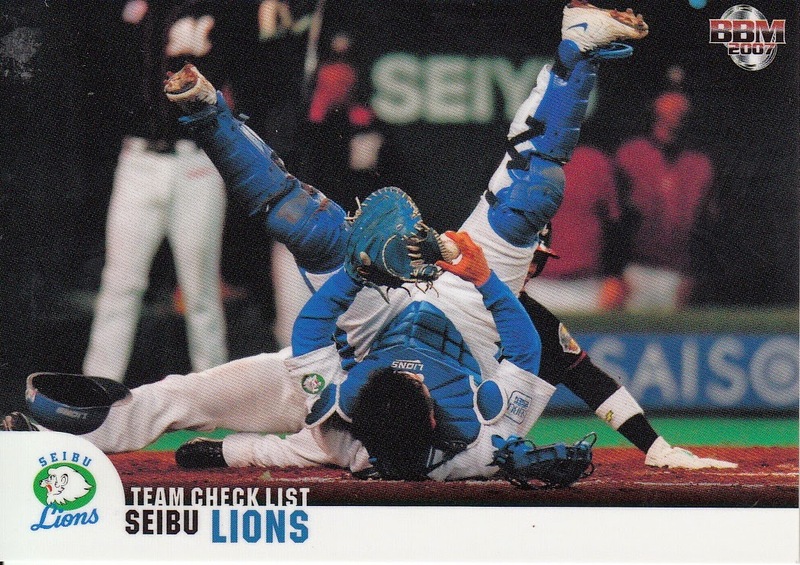 Other players who appear in the regular 2nd Version cards but not the 1st Version set are Daisuke Hayakawa (Marines), Keisuke Kanoh (Tigers), Shinji Shimoyama (Buffaloes), Jeffrey Liefer (Lions), Akira Matsumoto (Eagles), Masakazu Fukukawa (Swallows), Yushi Aida (Giants), Takuya Kimura (Giants), and Hiroshi Kisanuki (Giants). 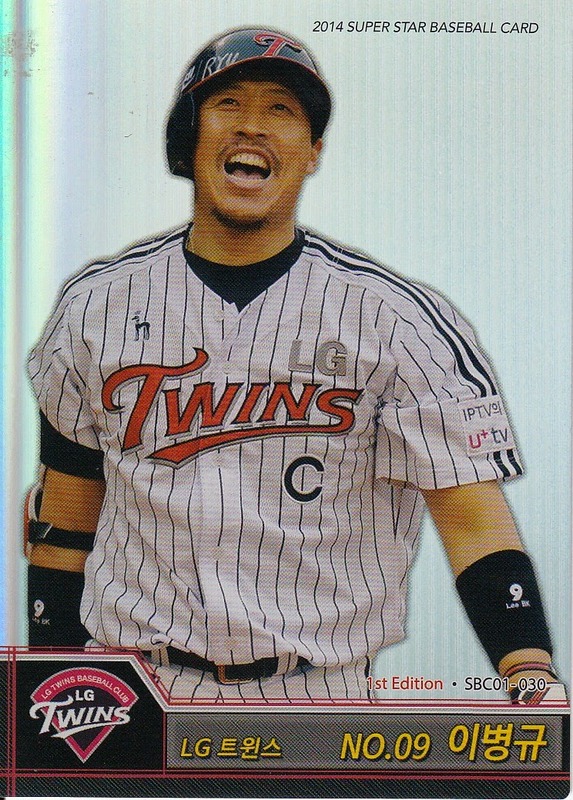 Fighters outfielder Chonso Yoh has a regular 2nd Version player card but only appeared in the 1st Version set in the "Future Stars" subset (as Chung-Shou Yang - this is the player currently known as Daikan Yoh). Several 2007 rookies have player cards but the cards do not indicate that the player is a rookie on the front. The Speed Star inserts were only found in the Light packs. 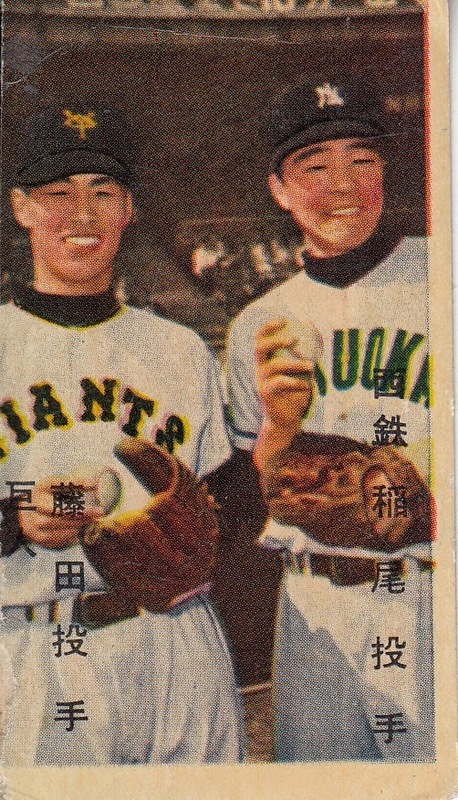 This was a two card set containing cards of Tsuyoshi Noshioka and Norichika Aoki. These same two players were in the Speed Star insert set for the 1st Version Light packs but those cards were vertically oriented while these were horizontally oriented. I was unable to find an image for either card in Yahoo! Japan Auctions. The "Be Aggressive!" 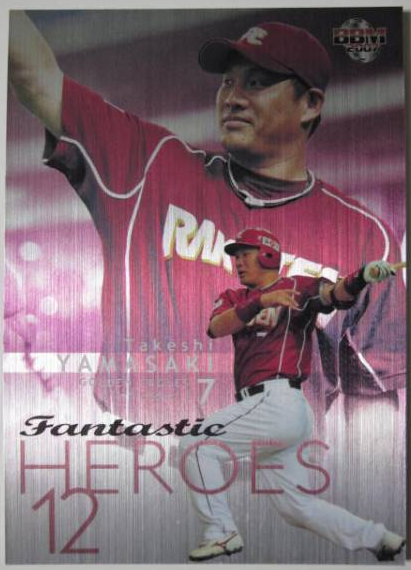 subset is subtitled "The Amazing Hitters" and features one hitter from each team - Norichika Aoki (Swallows), Takahiro Arai (Carp), Kosuke Fukudome (Dragons), Atsunori Inaba (Fighters), Koichi Isobe (Eagles), Tomoaki Kanemoto (Tigers), Greg Larocca (Buffaloes), Nobuhiko Matsunaka (Fighters), Shuichi Murata (Baystars), Hiroyuki Nakajima (Lions), Michihiro Ogasawara (Giants) and Julio Zuleta (Marines). The "For The Ultimate!" 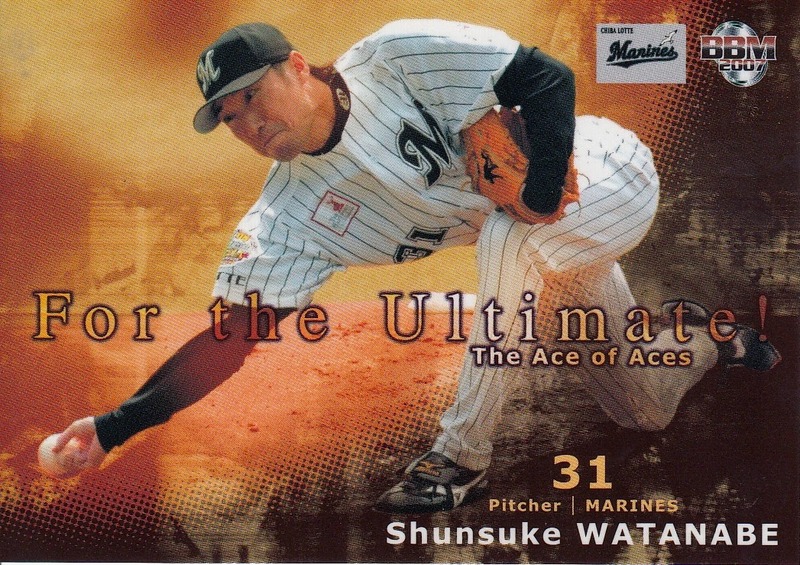 subset is subtitled "The Ace Of Aces" and includes the top pitcher for each team - Yu Darvish (Fighters), Kyuji Fujikawa (Tigers), Kazuhisa Ishii (Swallows), Hidetaka Kawagoe (Buffaloes), Kenshin Kawakami (Dragons), Hiroki Kuroda (Carp), Daisuke Miura (Baystars), Fumiya Nishiguchi (Lions), Toshiya Sugiuchi (Hawks), Masahiro Tanaka (Eagles), Koji Uehara (Giants) and Shunsuke Watanabe (Marines). I'm not entirely sure what the "Get A Chance!" subset cards are signifying. The subtitle for them is "A Player On The Shine Wave". I think these are players who got a chance to contribute for the first time in 2007 maybe? The players are Yushi Aida (Giants), Takeshi Aono (Marines), Koji Aoyama (Eagles), Yuichi Honda (Fighters), Yasushi Iihara (Swallows), Keisuke Kanoh (Tigers), Yoshikazu Kura (Carp), Byung Kyu Lee (Dragons), GG Sato (Lions), Shinji Shimoyama (Buffaloes), Hayato Terahara (Baystars) and Chonso Yoh (Fighters). The "Ceremonial First Pitch" subset contained 10 cards of various celebrities. 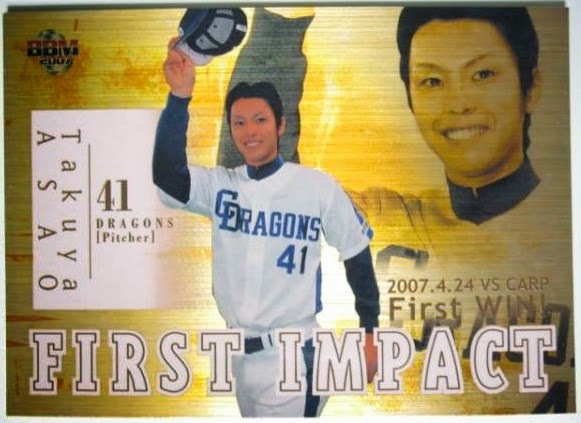 Once again, only one former NPB player (Hiromichi Ishige) was included although Ibaraki Golden Golds infielder Ayumi Kataoka is also in the subset. The others are long jumper Kumiko Ikeda, sprinter Shingo Suetsugu, wrestler Akira Hokuto, actress/models Asami Mizukawa, Akane Osawa and Aya Ueto and actor Hidehiko Ishiduka. (Osawa is the granddaughter of Keiji Ohsawa, who played for the Hawks in the 1950's and later managed the Orions and Fighters.) There's an additional card of someone named "Ayumi" who I think is another model/actress but I couldn't find any information on her.